This standing letter box has been designed by the architect Bent Ulrik Jensen and the designer Michael Stabell. The letter box is made of galvanised steel and an anthracite-coloured front panel. This can be changed for one of the four additional coloured panels (red, green, blue, white). The parcel compartment can hold parcels of up to 13.5 cm in height, 37.5 cm in width and 29 cm in depth. 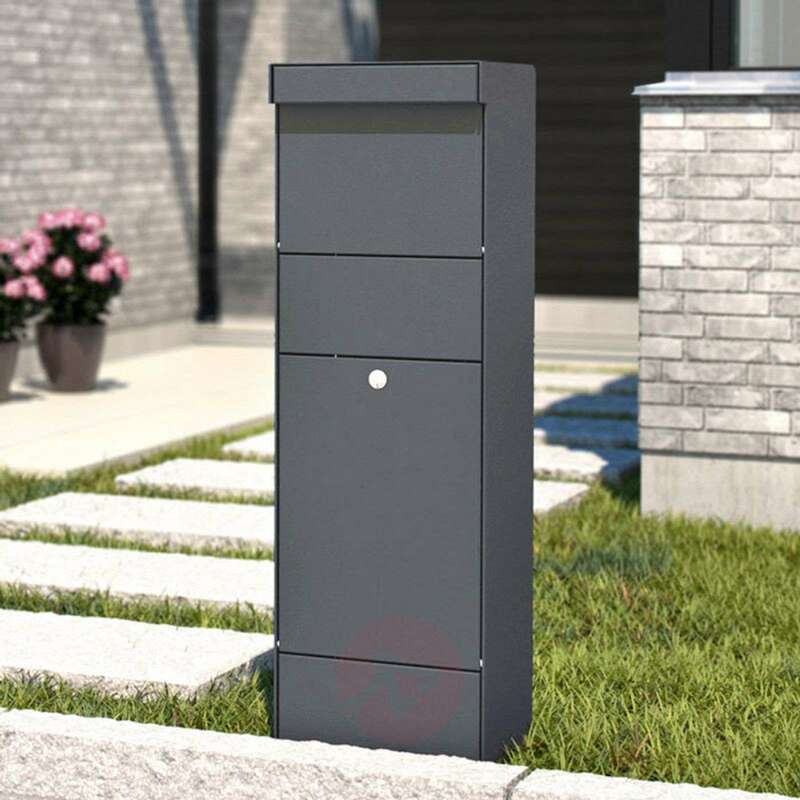 The standing letterbox also comes with a Ruko security lock, which protects the contents of the letterbox against unauthorized access. A hidden lock blocks the insertion of objects like New Years Eve fireworks. The standing letterbox Parcel is 34.5 cm wide and 110 cm high. The manufacturer provides a twelve-year warranty against corrosion.